Thank you so much to our consultative school board, led by board President, Britt Strottman, for their time last Saturday as we met for our beginning of the year retreat. This board, comprised of the following committees: Mission Effectiveness, Finance, Development, Policy & Planning, and Safety, Facilities, & Technology, assists the school administration with insights and recommendations. Each committee is currently working on determining their goals for the year! Please keep our 8th graders in your prayers as they go on retreat tomorrow. This wonderful opportunity will enable our student leaders the chance to dedicate a day to strengthening their faith and peer relationships! Thank you to Mrs. Kelly Mori, who has been our 3rd grade substitute during September! We appreciate all she has done for our students during her time here! I look forward to spending a few weeks with the 3rd graders until Mrs. Banchero returns from maternity leave later in October. In order to keep up with the methods of communication that most parents are accustomed to using, St. Perpetua will begin using a managed texting system called Pidgins. In addition to phone and email communications, parents will now be able to send and receive texts. The texts will come from our main school number 925-284-1640, so if you have that number in your address book you will see us as the message sender. You can respond and also initiate texts to this number as an alternative to calling or emailing. Please let Suzanne know if you have any questions. Our parent-Teacher Conferences will be held for most grades on October 4th & 5th. 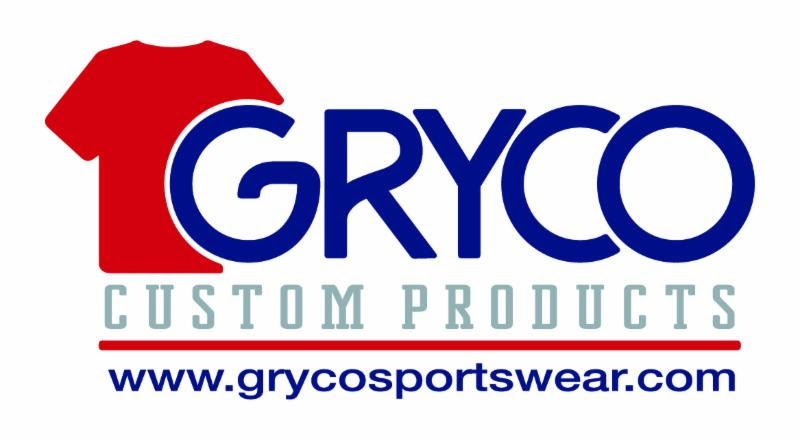 School outerwear may be ordered online through Gryco Sportswear. If you would like to order outerwear for your student, click here for order link. Orders placed by September 28th will be delivered the week of October 8th. New This Year!! Report your hours in October, January, and April, with your last report due May 25th, using the attached file and email to volunteer-at-stps@hotmail.com. It is your responsibility to report your hours; you will be billed for hours if you do not submit per the above process. e-Scrip is now offering the ability to register your credit or debit cards with selected grocery vendors (all across the country) and earn profit when you shop and pay with your card. Once you register you will see the profit percentage the selected stores offer. Click here for the information link. The Benefit-Mobile application(www.benefit-mobile.com) lets you purchase e-gift cards for the exact amount of your purchase when at the checkout register. You can set the App up to debit your checking account (a greater profit rebate) or your credit card (a smaller profit rebate). All students in grades 4-8 have individual user names & passwords for PowerSchool. Parents also have 'Parent Portal' user names & passwords (parents have to initially set up the portal and then it stays active) that gives PowerSchool access to their students in grades 4-8, allowing parent to look at assignment and test grades, missing assignments, etc. If you have forgotten your Parent Portal information, please contact Kim Fogarty kfogarty@csdo.org and she can send the information to you. Did You Know that Mrs. Kenney has a 'Christian of the Week' program in Panther House? Any student in Panther House or Panther Cubs is eligible for this recognition award. Mrs. Kenney looks for students who demonstrate the following actions: kind, patient, respectful to teachers, peers, and the rules; a good listener, polite on the snack line, cleans up without being asked, shares with others, and includes others in games. The three Christian of the Week students have their name posted on the Panther Board! A THANK YOU Shout-Out to Ms. Heidi Schwarck for organizing our 8th Grade Retreat tomorrow ~ the day is a wonderful way for our 8th graders to bond and think about this special year. Thank you, Heidi! A second THANK YOU Shout-Out to Mrs. Kelly Mori for being our awesome September substitute teacher in 3rd grade while Mrs. Banchero continues her maternity leave. Thank you, Kelly! For our first fundraiser on Wednesday, 10/3, Leadership will be selling glazed and chocolate donuts for $2 each. Donuts will be distributed at morning snack recess.Order form can be downloaded here. Orders are due to the office with payment by Monday, 10/1. Donuts will be passed out in homeroom at recess on Wednesday, 10/3. If there are extras, students may purchase a donut at the cafe; however, there are usually very few left over, so be sure to turn in your order on time! Thank you for your support! This year's carnival will be held in the upper lot on the lawn by the Garden of Learning. The Silent Auction will have gifts and goods. New this year...Tiki Toss, Lawn Darts and Yard Pong! You can also watch the 49ers and Raiders games in the sports lounge. Bring the whole family, invite neighbors and have a blast! Per your Family Contract, each school family is required to work one shift or participate in another manner. Tk-only and K-only families are exempt. Junior High students can sign up for their own shift and earn service hours! Please click here to for volunteer sign-up! What a wonderful opening at Cafe` Perpetua last week! We were so excited to see so many old friends and meet so many new families! We hope to see you all again this week at the cafe`! We will be featuring all of your breakfast favorites and more seasonal items such as individual blackberry pies, yummy organic jams, pesto, and zucchini breads! Your patronage at the cafe` is what keeps your children's Garden of Learning growing! Thank you so much! Enjoy drinks & appetizers with friends while getting a head start on holiday shopping from an amazing array of local vendors. We are excited to bring back fabulous vendors as well as bring in new ones you will love. Our variety has something for everyone at all price points! Luxury leather and suede accessories that's 100% Californian in design and artisanship. Artisan craft whiskey locally sourced from California's Healdsburg area. Hand curated selection of flea market finds, antiques, and vintage accessories. Women's clothing that is on trend, stylish and ultra feminine. Sign-Me-Up events are part of our annual school Auction. It's a great way to support your school while having a fun evening with old or new friends! Click here to sign up for our remaining 'Fall' party! Here is the September enrichment event sponsored by SEEDS! On Tuesday, October 30, we will have Halloween FUN & GAMES PARTY after school. This will include some games and face painting. If you would like your child to attend, please put it on your October Calendar or email Mrs. Kenney (lkenney@csdo.org). Children must be on the attendance roster for this day. We will not accept drop-ins on this day. On Wednesday, October 31, children come dressed in costume for Halloween. It is half-day. Children will be dismissed after the Halloween Parade. Panther House is closed that afternoon. October 31: Halloween is a half-day. Children will be dismissed after the Halloween Parade. 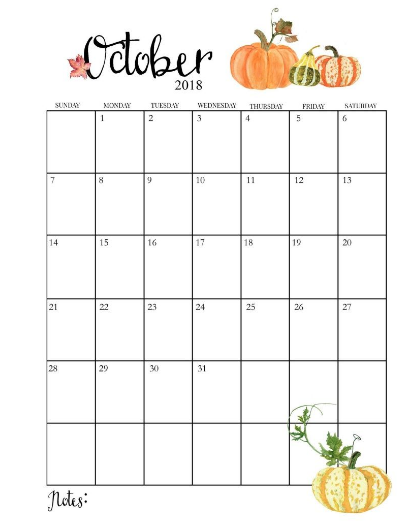 St. Perpetua will celebrate living a healthy lifestyle during the week ofOctober 22 through October 26, with the theme" Life is a journey: Navigate to Healthy". We will be encouraging students to make healthy choices. We will focus on nutrition, hydration, fitness, and sleep. Additionally the upper grades will look at experiencing spiritual health, anti-smoking and anti-drug education, and tools for dealing with peer pressure. Junior High Students ~ an opportunity for you! It's not Religion class. It's not public school Faith Formation. It's not Mass. SO WHAT IS IT?? TEAM is a place for ANY 6-8th grader asking questions like: What is my purpose in life? How do I know that God is real? Who are my real friends and am I a good friend to them? Who can I believe and trust? Why should I be part of a Church community? Come learn how to pray while singing at the top of your lungs to music led by teens from Miramonte, Campolindo, Acalanes, De La Salle, and Carondelet High School. Come talk and share with teens and young adults who have been right where you are now. What are you waiting for? Join us!! Link to more info here! Grateful Gatherings Fundraiser hosted by Lamorinda Gives Back! Join us on October 6th for the "Give Back in Black" party benefiting Grateful Gatherings. Grateful Gatherings has served over 400 people in the Bay Area providing furniture and household items to families transitioning out of homelessness or crisis. This fundraiser and your support will allow them to help even more families in 2019. We hope you can join the fun! Join the Library's Birthday Club to celebrate your child's birthday and foster a love of reading. For a donation of $20 per child, families can help to support the library. Click here for form. This is the way we raise funds to purchase new books that the kids want to read. Each Birthday Club student gets to select a new book to purchase for the library. A commemorative label will be placed in the front of the book with the child's name and birthday (not the year). When the book arrives, the Birthday Club student checks out the book first and gets to keep it as long as s/he wants. 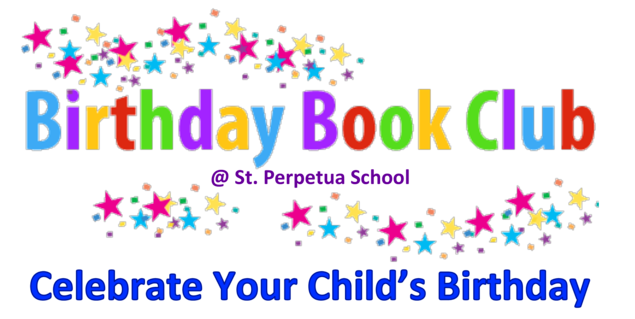 Regardless of when your child's birthday is, we collect funds in September and purchase Birthday Club books in October for everyone. This allows us to enjoy the new books for most of the school year. Please consider supporting our fundraiser. As I mentioned in the last Counselor's Corner, one of the most important things for students to learn is how to advocate for themselves. Part of advocating for themselves means advocating for their personal growth and realizing what areas they would like to improve in (academically, socially, physically, spiritually or emotionally). 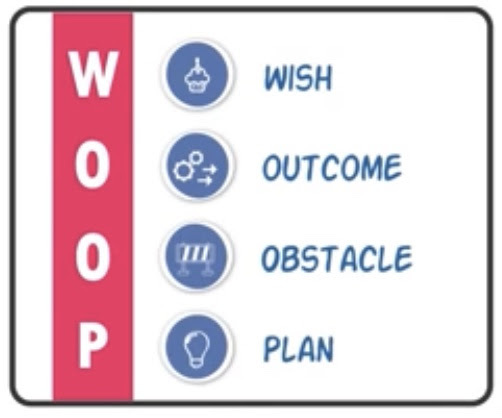 In part of my first classroom lesson to the 5th through 8th graders this year, I described a tool called WOOP (Wish-Outcome-Obstacles-Plan). Although the students have only been briefly introduced to this concept, we will be using it all year. WOOP is a tool that has been scientifically proven to help people reach their goals. This is a method that you can also use and model for your kids. See this website for more information about the benefits of and how to use WOOP. If you have a 5th through 8th grader, ask them more about WOOP. If they're able to explain it to you - that will help them with truly understanding it as well. (And/or watch this video with them to refresh their memory). TK-4th graders can learn to use WOOP as well. Feel free to introduce this to your whole family and WOOP it up with them! (I learned about WOOP (and many other wonderful lessons) from an online class I took last Spring. I highly recommend this FREE online Yale course for all parents and educators. Please be sure to complete a Counselor Permission Form for this year to give your student the option to reach out to me as needed. And, as always, feel free to contact me anytime. Your Scrip & Benefit-Mobile profit requirement helps Parent Association bridge the gap between tuition revenue and education costs. In addition, through your Scrip participation above and beyond your requirement, you can earn tuition credit for your family with your continued Scrip purchases! The Benefit Mobile application(www.benefit-mobile.com) lets you purchase e-gift cards for the exact amount of your purchase when at the checkout register. You can set the App up to debit your checking account (a greater profit rebate) or your credit card (a smaller profit rebate). Isn't it wonderful to have a delicious cup of coffee and a donut waiting for you at Café Perpetua after the 9:30 Mass? This is only possible thanks to some wonderful and dedicated volunteers. Most of them have done it for many years. In order for this wonderful tradition to continue we need your help. Here is what you'd be doing: pick up donuts at Safeway, set up, make coffee & lemonade and clean up after. You can do it once a month or less often, whatever your busy schedule allows. Please contact Christoph at the parish office if you're willing to assist.